Go Sign up @ Skoal & get a free tire Gauge! Click the link below & go sign up for free. 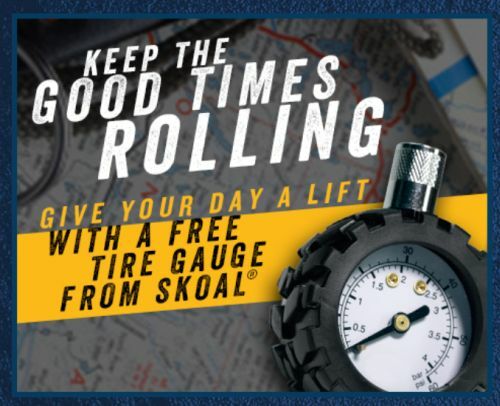 Once you sign up you can sign in then get the offer for a free tire gauge. Just click below to go get this offer.